***RARE FIND HARLEY DAVIDSON SUPER CREW BLACK ON BLACK V8 PREMIUM LOADED WITH ALL BELLS & WHISTLES ONLY 39,947 ORIGINAL MILES***BUY WITH CONFIDENCE FROM NEW JERSEY'S #1 RATED PRE-OWNED DEALERSHIP. CAR FAX CERTIFIED. THIS TRUCK IS IN IMMACULATE CONDITION INSIDE AND OUT, RUNS AND DRIVES EXCELLENT. 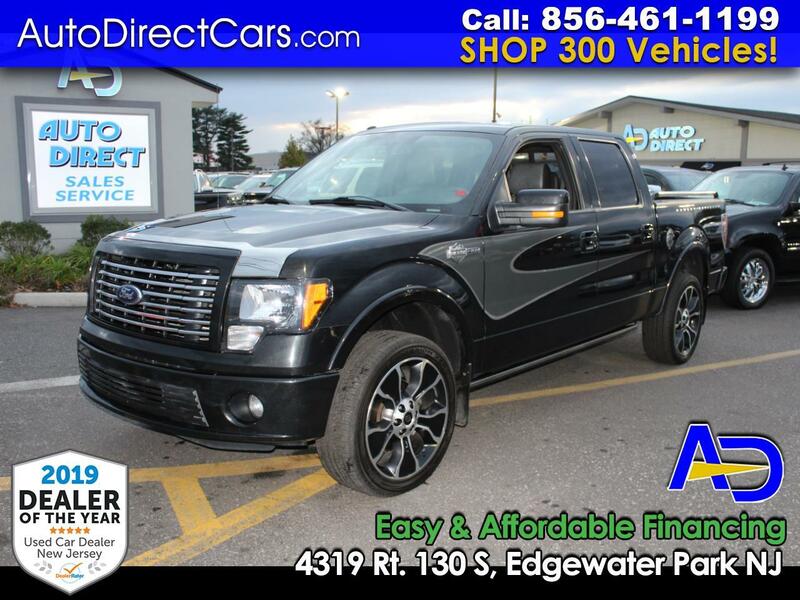 LOADED WITH ALL FACTORY OPTIONS FEATURING NAVIGATION, UPGRADED WHEELS & TIRES, POWER RUNNING BOARDS, HEATED SEATS, BACK UP CAMERA, POWER SEATS, PREMIUM SOUND SYSTEM AND MORE. 39,947 MILES IN ALL ORIGINAL CONDITION DRIVEN APPROXIMATELY 5K MILES PER YEAR. THIS IS A RARE FIND AUTO DIRECT CREAM PUFF. A MUST SEE AND DRIVE TO APPRECIATE THIS TREMENDOUS VALUE. EASY & AFFORDABLE FINANCING AVAILABLE. TRADE INS WELCOME. STOP BY & VISIT OUR HUGE INDOOR SHOWROOM.